Roderick Williams takes us on an intimate three-year journey through the world of Schubert lieder, exploring the composer's iconic song cycle Winterreise. Roderick Williams has spent the last three years learning, exploring and performing three song cycles by Franz Schubert: Die schöne Müllerin, Winterreise, and Schwanengesang. During this process he kept a blog detailing the ups and downs of this process, the errors, pitfalls and payoffs. 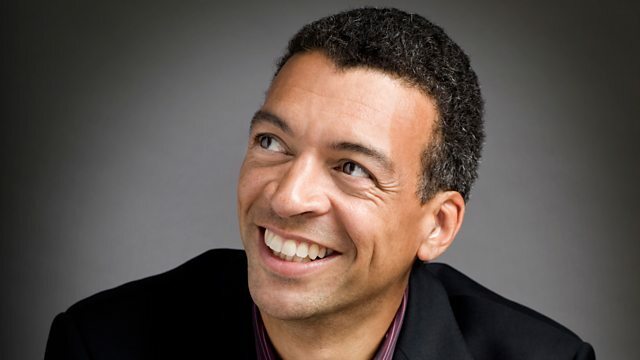 In this programme Roderick Williams journeys into the world of Schubert’s iconic song cycle, Winterreise. He explores why this collection of songs is held in such high esteem by singers and audience alike, how school children have reacted to hearing this music sung in English, and the pros and cons of this music being orchestrated by others. Performer: Alfred Brendel. Singer: Dietrich Fischer‐Dieskau. Performer: Roger Vignoles. Singer: Thomas Allen. Performer: Christopher Glynn. Singer: Roderick Williams. Performer: Julius Drake. Singer: Alice Coote. Singer: Julien Pregardien. Orchestra: Deutsche Radio Philharmonie. Conductor: Robert Reimer. Performer: Graham Johnson. Singer: Christopher Maltman. Performer: Wolfgang Sawallisch. Singer: Thomas Hampson. Performer: Konrad Richter. Singer: Robert Holl. Performer: Geoffrey Parsons. Singer: Olaf Bär.